For 20 years, Julie Jakubek and her team have been helping protect families and their businesses with home, auto, business, and life insurance. We are conveniently located in Phoenix on Thomas Road at 47th Street. Please come by and visit us. 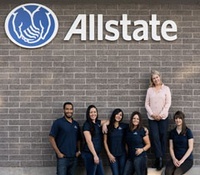 You’re in good hands with Allstate and Julie Jakubek.